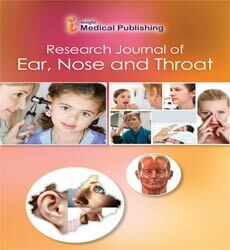 Research Journal of Ear, Nose and Throat publishes practical, reliable, high quality, peer reviewed research articles of all types highlighting the current developments and new techniques evolved in the ENT field. The major focus is on scientific research related to clinical care, case reports which depict unusual entities or innovative approaches in treating and management of those cases. The journal aims at playing a key role in terms of promoting responsible and effective research in all the related fields for example but not limited to: Head and neck cancer/surgery, otolaryngology, etc and their interdisciplinary aspects, endemic, hereditary and infectious ENT problems. A strong editorial board acts as the spine of the journal ensuring a proper peer review process which results in producing refined, high quality content that will be very useful to the scientific community for research purposes and also for students in their educational endeavour’s. The journal encourages research and innovation in the ENT field, offers professional publishing support to authors until the publishing is finalised. It helps the scientific community to upgrade itself with the most recent advancements. The topics covered in the journal include and are not limited to :Otoscopy, rhinoscopy, laryngoscopy, ENT imaging, related surgical procedures, Facial plastic surgery, Pediatric otolaryngology, endemic ENT issues, hereditary ENT disorders, infectious ENT problems, etc. Otorhinolaryngology is a surgical subspecialty within medicine that deals with conditions of the ear, nose, and throat and related structures of the head and neck. The most common type of cancer in the head and neck is squamous cell carcinoma, which arises from the cells that line the inside of the nose, mouth and throat. Squamous cell cancer is often associated with a history of smoking or exposure to the human papilloma virus (HPV). Other less common types of head and neck cancers include salivary gland tumors, lymphomas, and sarcomas. Methods of prevention include avoidance of exposure to alcohol and tobacco products as well as vaccination of children and young adults against HPV. Blockage of the upper airway occurs when the upper breathing passages become narrowed or blocked, making it hard to breathe. Areas in the upper airway that can be affected are the windpipe (trachea), voice box (larynx) or throat (pharynx). The main causes of obstructions includes: Allergic reactions; Chemical burns; Epiglottitis; Fire or burns from breathing in smoke; Foreign bodies; Infections; Injury; Peritonsillar abscess; Poisoning (may due to strychnine); Retropharyngeal abscess etc..
A genetic state of obscure cause in which unpredictable hardening happens in the ossicles of the center ear, particularly of the stapes, causing hearing misfortune. Ladies are influenced twice as frequently as men. The condition may decline amid pregnancy. Stapedectomy is generally fruitful in reestablishing hearing. The vocal cords (folds) are two groups of flexible muscle tissue as their fundamental structure. They are found closely related to each other (attached at the same point anteriorly) in the voice box (larynx) simply over the windpipe (trachea). Like different tissues in the body, vocal folds can be stressed and harmed. Consequently they are subject to diseases, tumors and injury. Stressed vocal cords by large aren't seen as a problem until the issue winds up noticeably to a point where it significantly affects function. Individuals who utilize their voices as a profession or who yell or shout often are at specific hazard. Individuals who work in boisterous situations that oblige yelling to impart are additionally at hazard. Regular vocal cord issue incorporate Vocal cord cysts, Nodules , Polyps, Contact ulcers and Laryngitis. Laryngopharyngeal reflux (LPR),additionally extraesophageal reflux malady (EERD) alludes to retrograde stream of gastric substance to the upper air stomach related tract, which causes an assortment of side effects, for example, hack, dryness, and wheezing, among others. It can be an applicable comorbidity of asthma. Despite the fact that acid reflux is an essential side effect among individuals with gastroesophageal reflux illness , indigestion is available in less than half of the patients with LPR. Different terms used to depict this condition incorporate atypical reflux, quiet reflux, and supra-esophageal reflux. A nasal crack, regularly alluded to as a broken nose, is a break of one of the bones of the nose.Symptoms may incorporate dying, swelling, wounding, and a failure to breath through the nose. They might be entangled by other facial breaks or a septal hematoma. The most widely recognized causes incorporate attack, injury amid games, falls, and engine vehicle impacts. Conclusion is ordinarily in view of the signs and side effects and may once in a while be affirmed by plain X-beam. Rhinitis(Hay Fever) is irritation of the covering of the nose. Sensitivity is a typical cause however it is not alone. Manifestations change from the tingling, wheezing and watery nasal release traditionally connected with sensitivity to the dry, crusting, and over-patent aviation route seen in atrophic rhinitis. An acquired ailment that causes genuine hearing misfortune and retinitis pigmentosa, an eye issue that makes your vision deteriorate after some time. It is the most well-known condition that influences both hearing and vision. There is no cure. Devices, for example, amplifiers or cochlear inserts can help a few people. Preparing, for example, Braille guideline, low-vision administrations, or sound-related preparing can likewise offer assistance. Perichondritis of the ear can be a diffuse inflammatory, however not really irresistible, handle bringing about diffuse swelling, redness, and agony of the pinna, or a ulcer between the ligament and the perichondrium. It is due to an infection by the fungus Rhinosporidium seeberi which affects predominantly the mucous membranes of nose and nasopharynx. The infection is usually limited to surface epithelium but sometimes it becomes widely disseminated. Scleroma is a chronic granulomatous infection of the upper respiratory tract which may start as a single nodule or groups of nodules in the mucosal and sub mucosal layers of the nasal cavity, pharynx and larynx especially the sub-glottic region- some times spreading in to trachea and bronchi. Tinnitus is an irregular commotion that you can listen. Be that as it may, the commotion does not originate from outside of ear. The kind of commotion that individuals hear include: ringing, humming, shrieks, thundering, murmuring, machine sort commotions, and so forth. In some cases the commotion throbs at an indistinguishable rate from your heartbeat. Tinnitus can be either consistent or come and go. It can change in din and character every once in a while. Laryngomalacia (delicate larynx) is the most widely recognized reason for stridor in early stages, in which the delicate, youthful ligament of the upper larynx crumples internal amid inward breath, causing aviation route deterrent. It can likewise be seen in more established patients, particularly those with neuromuscular conditions bringing about shortcoming of the muscles of the throat. Notwithstanding, the juvenile frame is considerably more typical. Laryngomalacia is a standout amongst the most widely recognized laryngeal inherent malady in earliest stages and government funded training about the signs and indications of the ailment is inadequate. Inflammation of the coating layer in any of the empty areas (sinuses) of the skull around the nose. Sinusitis might be caused by anything that meddles with wind current into the sinuses and the waste of mucous out of the sinuses. The sinus openings, called ostia, might be hindered by swelling of the tissue coating the ostia and nearby nasal entry tissue; for instance, from colds, sensitivities, and tissue aggravations (nasal showers, cocaine, tobacco smoke). Less ordinarily, sinuses can wind up plainly deterred by tumors or developments. Stagnated mucous at that point gives an ideal situation to bacterial disease. The basic manifestations of sinusitis incorporate migraine; facial delicacy or torment; fever; overcast, stained nasal seepage; a sentiment nasal stuffiness; sore throat; and hack. Atrophic rhinitis is an extraordinary and particular clinical disorder of dynamic decay of the nasal mucosa. It is portrayed by dumbfounding nasal clog and thick, troublesome nasal discharges and confused by bacterial colonization and contamination. Growth of the nasal cavities may happen in a few structures. Most patients additionally have corresponding sinusitis, and in this manner, the confusion is all the more precisely called atrophic rhinosinusitis. There are essential and auxiliary types of this issue, which influence diverse populaces and have particular introductions.